Google Apps (or GApps) are the proprietary applications by Google which is included in most of the Android phones and tablets. 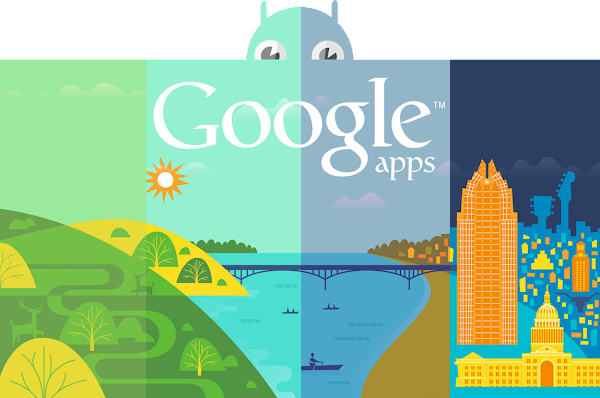 We are providing here the core Google Apps which are recommend for all. Most of the Google Apps can be found in Google Play Store and you can also get updates from here. We are providing here the flashable GApps in ZIP files. They consider these apps as important as our ROM. It is sad that the ROM scene deals with so many broken/outdated or buggy packages. All apps are untouched, the developers do not change or modify Google applications but deliver them as they are. Automatic Backup: It is not necessary to re-flash GApps or modules when you flash a ROM update. Most ROM's support this function. Developers offer several variations from a Google Stock Package (based on what Google ships on Nexus devices) to smaller, more minimal packages. This package is recommended for most users of current generation devices (legacy device owners may want to use Mini or Micro Modular GApps due to the size of this package). Browser, SMS App, or Pico TTS. In addition, it also includes Google Bookmarks Sync. If you don't have a Nexus device and/or prefer to use the stock/AOSP apps, this package would be perfect for you. This package is designed for users who want the smallest Google footprint possible while still enjoying native "Okay Google" and Google Search support. This package is designed for users who want the absolute minimum GApps installation available. Addon modules can be installed on top of most any GApps package, including the Pico, Nano, Micro, Mini, or Full packages above. This update module will update Google Play services and Google Play Games (if installed) to the latest and PROPER version for your device. This addon module will install the new Google Camera on your device. NOTE: The addon will replace the stock/AOSP camera installed on your device to avoid any potential hardware conflicts. This addon module will install Google Chrome Beta on your device. This addon module will install Google Keyboard on your device. NOTE: The addon will replace the stock/AOSP keyboard installed on your device (due to issues with using stock/AOSP keyboard if Google Keyboard is also installed in System partition). This addon module will install the iWnn Emoji Keyboard that comes standard on Nexus devices. Due to conflicts with OmniROM based ROM's (and possibly others), this addon is no longer being offered for download. If you find any of our link is broken or dead, please feel free to tell us by using our contact us page. Alternatively, you can also contact us on Facebook, Twitter or on Google+ as we are more active there. If you need any help for installing GApps on your Android phone or tablets, feel free to comment below. We will reply you as soon as possible with full guidelines and tutorials.